The main purpose of a car’s exhaust system is to expel exhaust gases from the internal combustion engine to the air. But, there instances when you will notice some water droplets coming out of the tailpipe. 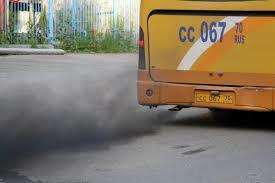 This is a cause for alarm to many motorists because they expect only carbon dioxide to be emitted from the exhaust pipe. Before you call your mechanic for a water exhaust problem, you may need to spend some time understanding what causes water to drip from the exhaust. Why does water come out from the exhaust? The reason you notice water-dripping form the tailpipe early in the morning is due to condensation. The internal combustion engine produces hydrocarbons, which are converted to less harmful byproducts in the catalytic converter. Carbon dioxide and water are the main by-products and when your car cools down the water in the exhaust system will condense. This water forms as water droplets the moment you warm up your engine in the morning. This type of water dripping is harmless and should not be a cause of concern for motorists. The pistons move the camshaft when the air/fuel mixture ignites. With time, the pistons wear out, and the rings start leaking. Ineffective ignition of the air/fuel mixture causes some of the coolant to sip into the engine causing exhaust system to emit water vapor as white smoke. This is dangerous, and you should have your engine checked immediately. 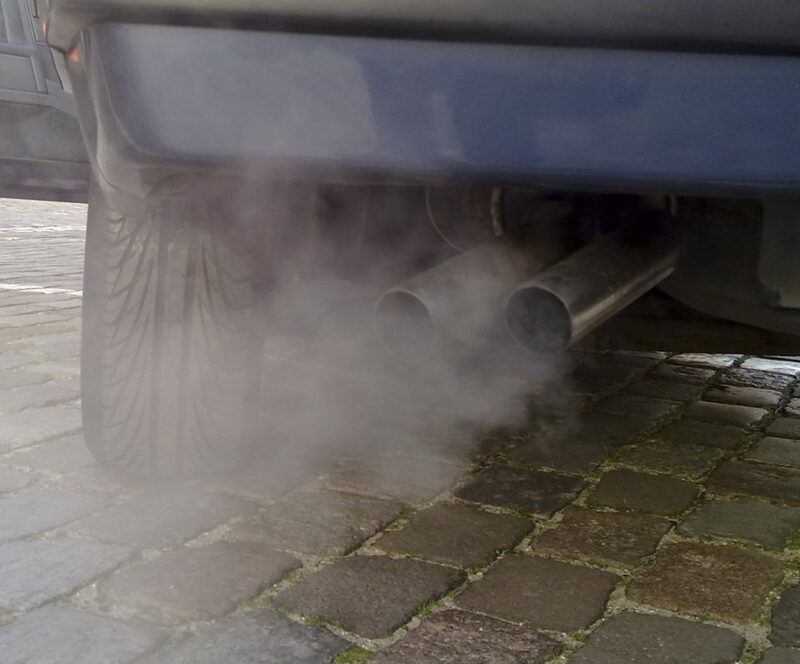 A cracked cylinder, blown head gasket or cracked engine block can also cause white smoke to come off the exhaust pipe. There are moments when there is an incomplete burn of fuel in the internal combustion engine. This fuel when mixed with the water exhaust comes out as black smoke. This is a serious problem because it symbolizes that some parts of the engine are not working. More fuel is being directed to the combustion chambers, and it is not fully ignited. Faulty spark plugs or dirty air filter could be the cause for this. After changing these and you still notice more black fumes then you should have your fuel injector checked. Whenever you start your car, the engine takes time for oil to circulate to all movable parts before you can start driving. The moving parts get very hot during this time, and hot gases are emitted through the exhaust system causing water droplets to form at the tailpipe. In cold environments, it is more pronounced appearing as steam. It should not be a cause of worry as they clear up as the coolant continues circulating in the engine. Give your engine a few minutes to warm before your start driving. When you want to fix any leakages from your exhaust the first thing you need is to determine the source of the problem. The exhaust system starts from the catalytic converter – which eliminates the emission of harmful hydrocarbons from the engine converting them to carbon dioxide and water. The catalytic converter connects to the muffler through a series of pipes. The tailpipe emits the exhaust gases to the air. During inspection avoid touching any part of the exhaust while it is still hot – can cause serious burns. For the exhaust pipes look for rusted parts and loose connections. You can identify leaking pipes by the noise produced by the exhaust. Follow each part of the pipe until you reach the engine. If all is well, then the problem could be the cooling system inside the engine. The color of exhaust smoke will determine the type of solution that you deploy. The reason you have excessive white smoke from the exhaust is that the coolant is leaking to the combustion chambers. The gasket is used to seal off the manifold and if it is cracked the coolant could leak into the engine. To access the gasket remove the intake manifold and carefully examine the gasket for cracks and leaks. If you notice anything, unusual fix the gasket immediately. Be on the lookout for rust. If the intake gasket is fine the next step is to examine the head gasket. The head gasket acts as a seal between the engine block and cylinder. It prevents the coolant from getting into the engine. If the head gasket has cracks, the coolant will get into the combustion chambers, and this will cause the exhaust to emit white smoke. Replace it if you notice rust and cracks. The cylinder head is made from aluminum. When the engine overheats, this aluminum block will develop cracks and break leading to coolant leakages. Ensure that it is seals the head gasket and engine block evenly. It is not unusual to notice some white smoke from the exhaust whenever you turn on the engine in the morning. This kind of white smoke is caused by water condensation from the catalytic converter. Water is a byproduct of the internal combustion engine. During the night the engine cools down, and this water condenses on the exhaust system. When you warm the engine, it turns to vapor and leads to some white smoke. White smoke should be a cause of concern when it is excessive and is accompanied by a sweet smell. Air, fuel, oil, and coolant are all used for the smooth running of the engine. But, they should not mix at all. When you have a cracked head gasket, cylinder head or worn out piston rings the coolant will leak to the combustion chamber causing white smoke. If the problem is not fixed immediately, it will cause further engine problems like corrosion. You also end up spending more on gas and oil. When the smoke is black, it means that fuel is not fully being ignited in the combustion chambers. Before you call you mechanic to replace you head gasket or cylinders it is vital that you distinguish between normal white smoke and that caused by a cracked cylinder or gasket. Pouring Gasoline in a Diesel Engine - What can happen?